Everyone likes a sitter pipe. And that’s just what the entire Rossi Sitting line has on offer: classic Rossi shapes fashioned along the heel and bottom portion of the shank just so they’ll perch without fuss or aid. 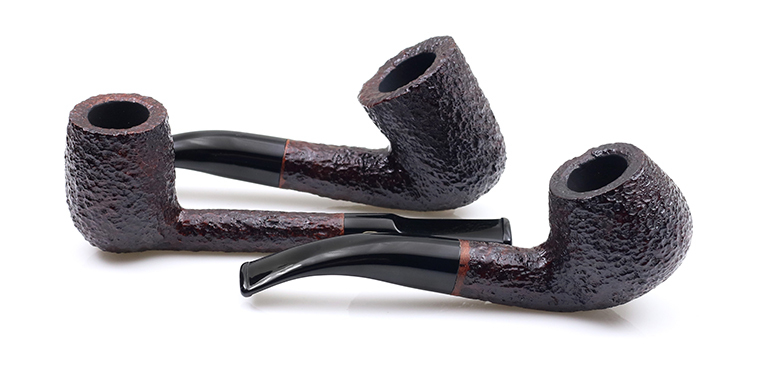 Perfect for the kind of pipe smoker that tends to keep his hands busy and is constantly casting about for the right place to deposit his pipe at a moment’s notice, there’s a dozen dark brown rusticated shapes to choose from in the line, each sporting an acrylic stem, and purchasable individually (as in not sold by the dozen).